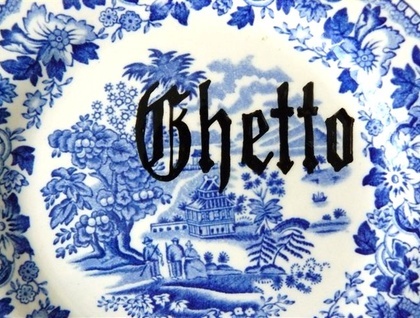 Reworked 18cm vintage English Woods Burslem plate pattern ""Seaforth""which is similar to willow in blue and white with a landscape scene and ornate floral edge. 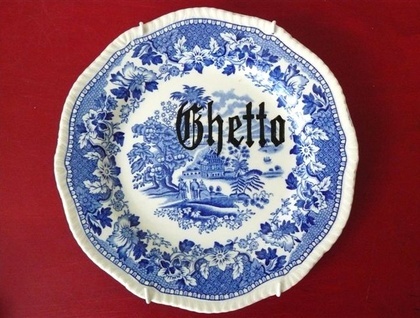 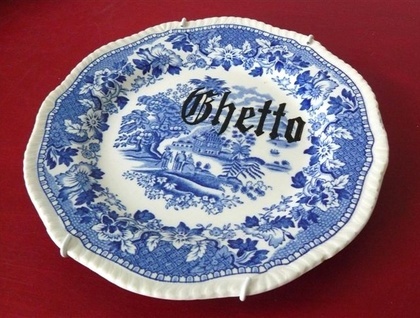 Ghetto Text is in heat fused Porcelain paint, non-toxic and hand painted. 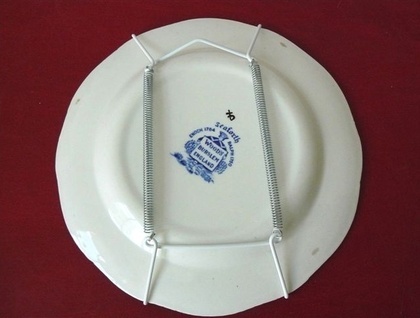 Food safe but also with a hanger for display.